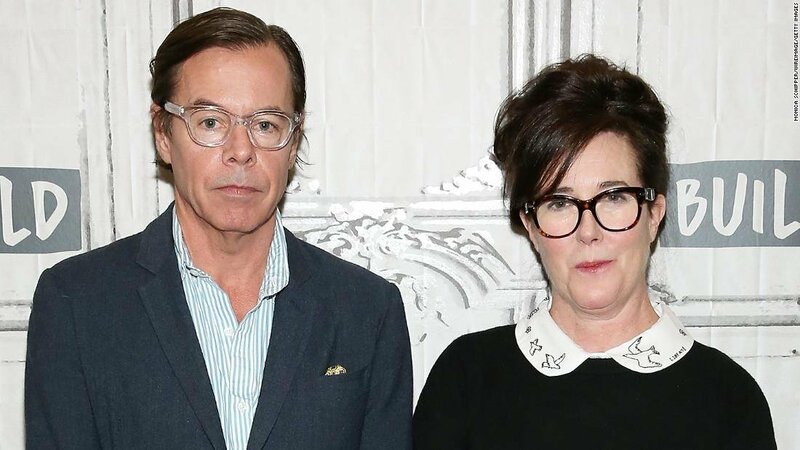 Kate Spade fell into a deep depression days before hanging herself because her husband – who had recently moved out of their Park Avenue home — asked for a divorce, her suicide note suggests. The despondent 55-year-old fashion designer did not want her 24-year marriage to Andrew to end, TMZ reported, citing law enforcement sources. 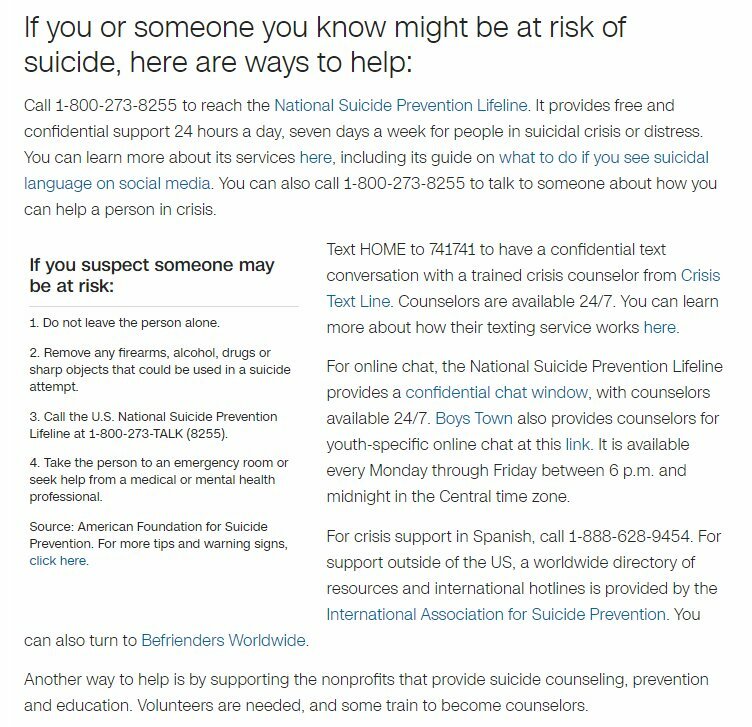 Spade hanged herself with a scarf inside her home at 850 Park Ave. near East 77th Street on Tuesday morning, leaving a suicide note to her daughter Frances Beatrix Spade, 13. Andrew and Kate had separated and he was living in a nearby apartment, according to TMZ. 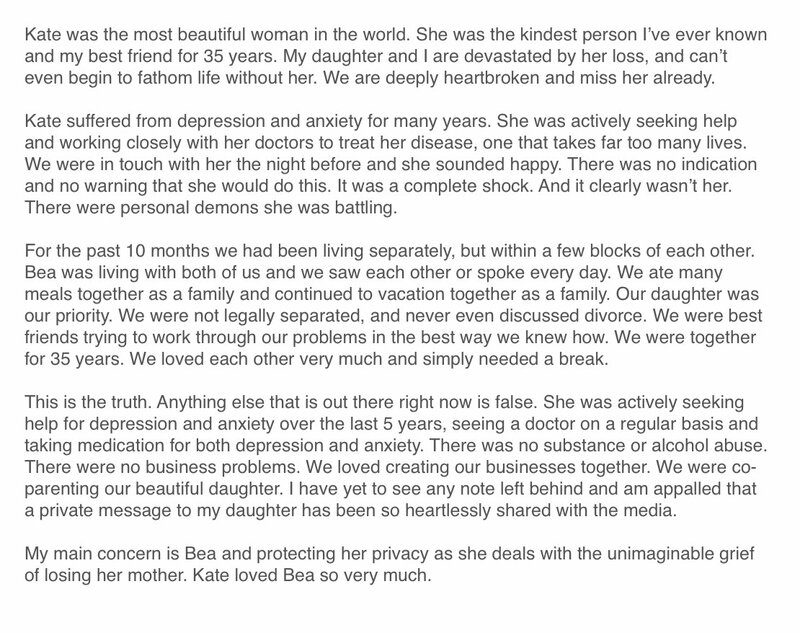 In Spade’s suicide note to her daughter, she suggested that Andrew would know why she took her life. “This has nothing to do with you,” the note reads in part, sources told The Post. Photos: Fashion designer Kate Spade found hanged in her home, leaves a tragic suicide note. Bcause of ordinary divorce, she killed herself?